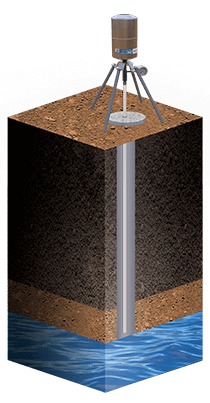 In order to test contaminants well into the vadose zone or near the water table, deeper holes or “permanent sampling wells” must be installed. 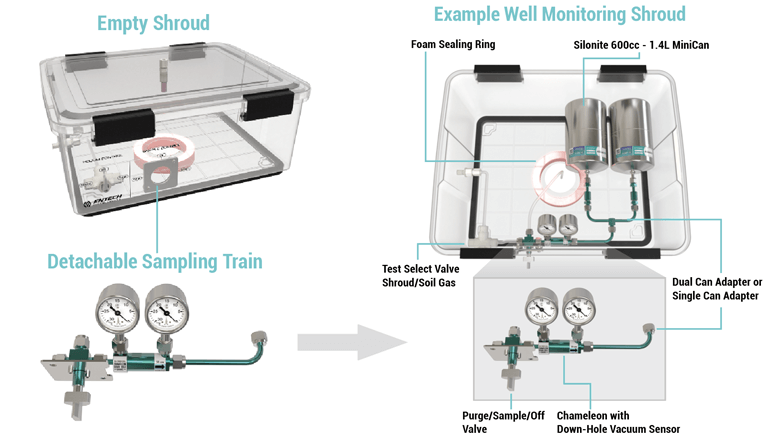 The Entech Chameleon Soil Gas Samplers connect to the tubing that is installed in these wells for easy and controlled filling into inert SiloniteTM coated canisters. Since these sampling sites are installed by different companies or agencies, the Chameleon was designed to change its inlet and outlet to adapt to whatever connections are needed, ultimately reducing the number of leak points and places for VOC contamination to build up. 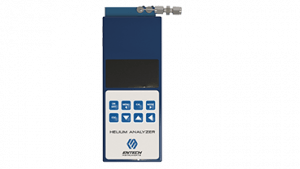 The Entech helium shroud solution was designed to be easy to use, easy to clean, and affordable. 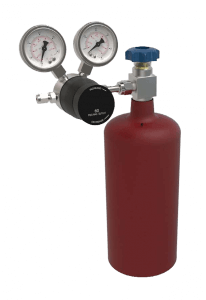 It delivers on all points by allowing for the entire soil gas train to be connected and disconnected from the shroud in just seconds through the utilization of a magnetic latching system. This inexpensive shroud can be reused over and over with clean evacuated sampling trains that are shipped directly from the lab and snap right in! The sample trains are sent under vacuum, therefore just a quick glance at the gauge is all it takes to satisfy the field shut-in test. 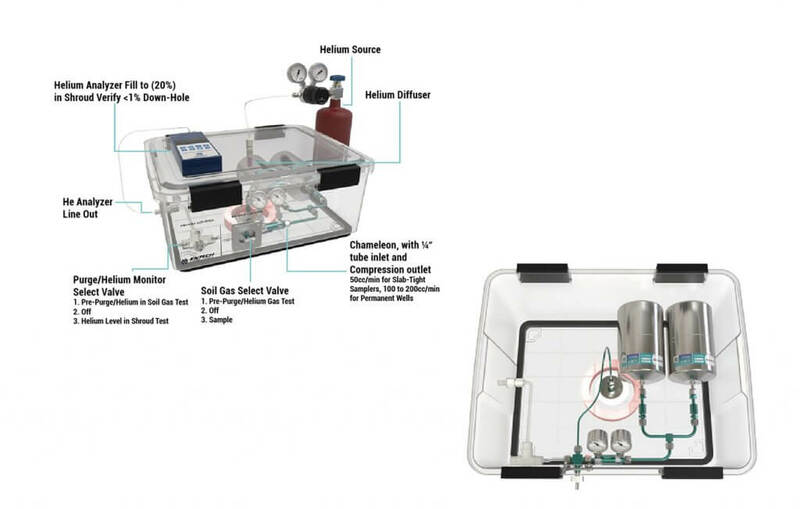 The Chameleon Soil Gas Sampler fits all your sampling needs!